Your home’s foundation literally carries the weight of your home on itself—that’s why you want to make sure that your foundation is strong and stable enough to support your home for years to come. There are many things that can negatively affect your foundation. 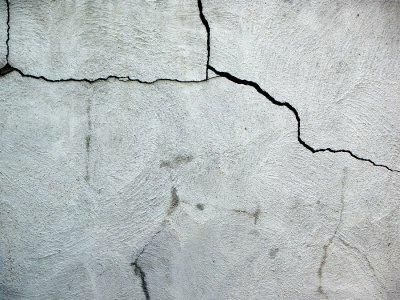 Here’s an overview of common foundation problems and repair techniques. If you notice an issue with your home’s foundation, no matter how small it may be, schedule an appointment with a foundation repair specialist to have your concrete slab and pier and beam foundation in San Antonio inspected. Water is a foundation’s arch nemesis. When drainage is poor—i.e., your property slopes toward your home, or you have downspout issues—water can pool around your home, seeping into the concrete of your foundation, which can result in basement flooding and accelerated foundation erosion. In the case of gutters, your home’s gutter and downspout systems work well to direct rainwater away from your roof’s surfaces, but sometimes they can direct that water straight to your home’s foundation. To mitigate water intrusion, proper waterproofing of your basement’s interior and exterior is crucial. Have a foundation repair specialist perform a complete diagnostic inspection. He or she can offer the appropriate drainage correction solution—for example, having a contractor perform a French drain installation to channel water away from your home. Your house sits on its foundation that rests on soil. If your home was built on soil that was not adequately compacted, or if you live in an area where soils naturally shift due to excessive rains or extreme droughts, your foundation can be in trouble. Shifting soil can cause your foundation to resettle and crack, which can weaken its structural integrity. Additionally, poor drainage can worsen, or be the cause of, this problem. To combat and prevent this, your contractor can correct drainage issues and stabilize the soil. Your foundation may also need to be leveled—a process that involves lifting your home and repositioning it, and stabilizing its foundation with supportive piers. Invasive roots from large trees can do a number on your home’s foundation. These roots can lift up concrete structures or break through them, causing much damage and giving rise to other problems. If feasible, consider having large trees relocated or removed from your property.